I am not sure what part of the world you call home, but if you live in the southwest area of the United States right now, I hope you have access to air conditioning! It is about a MILLION degrees in our neck of the woods, and to add to the misery, my kids are constantly whining about the heat. I don’t need them to remind me about how hot it is when sweat is dripping from my face. 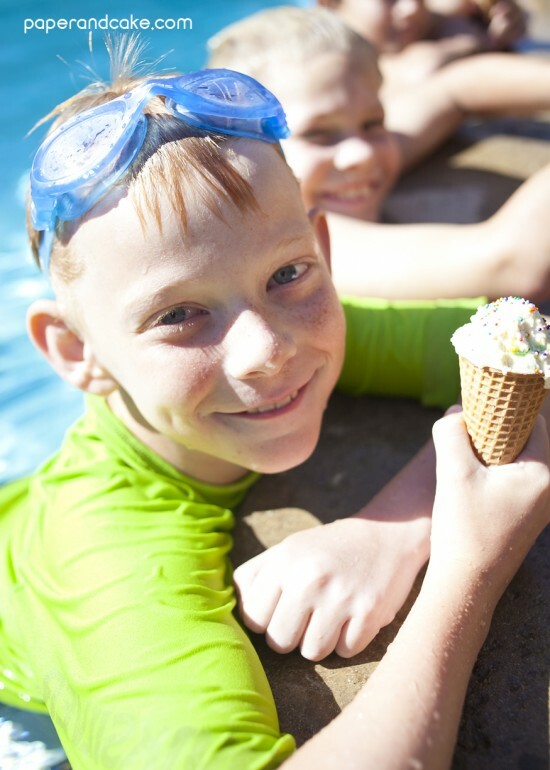 To cool the kids down -and calm my nerves- I whipped up this no-churn ice cream recipe (cake batter flavor) and dragged them to my sister’s pool. This recipe is beyond simple and takes less than an hour (including clean-up) to get into the freezer. I recommend doing it the night before you plan to serve it, so it has overnight to set. Otherwise it takes 6 hours to freeze completely so time it out how you see fit. 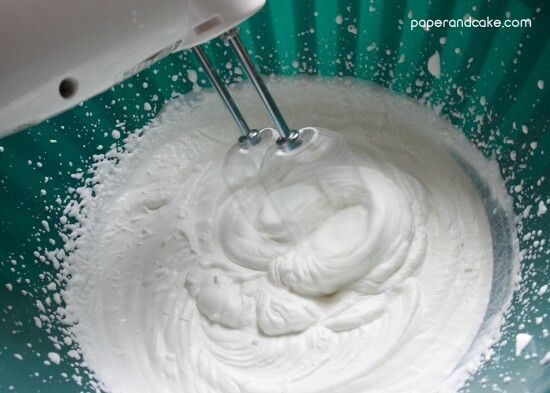 Whip the heavy whipping cream in a large bowl with an electric beater on high until stiff peaks are formed. 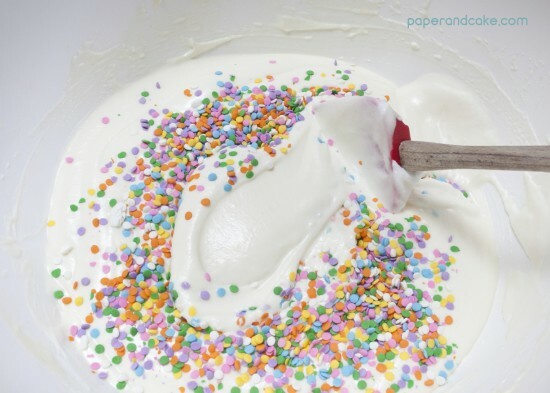 In a separate large bowl, beat together the condensed milk, butter, and cake mix. Slowly and gently fold the whipped cream into the other mix. Fold until well mixed. Slowly and gently fold in the sprinkles. Pour into container. Cover. Place in freezer. Finally, serve on a cone with more sprinkles. So there you have it. A cool treat that’ll stop their mouths from whining, and replace it with a satisfied smiles. All the kids asked for seconds, which is a huge success in my book. A few adults (including me) couldn’t resist a scoop. 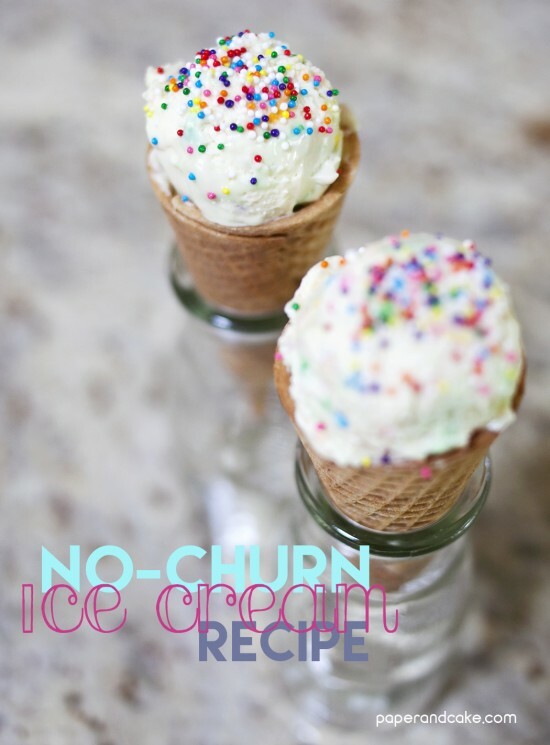 Aside from the recipe, the lesson to be learned here is that a party can come in a cone. I mean, look at these kids having a blast! This recipe is begging for a photo booth op too! You are in luck too, because we just recently released our photo booth props in Shop the Shelf sets! In this video we show how to assemble the Sweet Shoppe set…which would be perfect to set up with an ice cream party. Recipe adapted from our friends at Space Ships and Laser Beams.